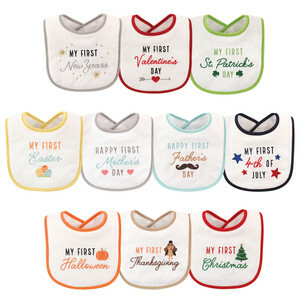 Hudson Baby 10 Pack Cotton blend bibs are a one stop shop for every holiday of the year for your little one! 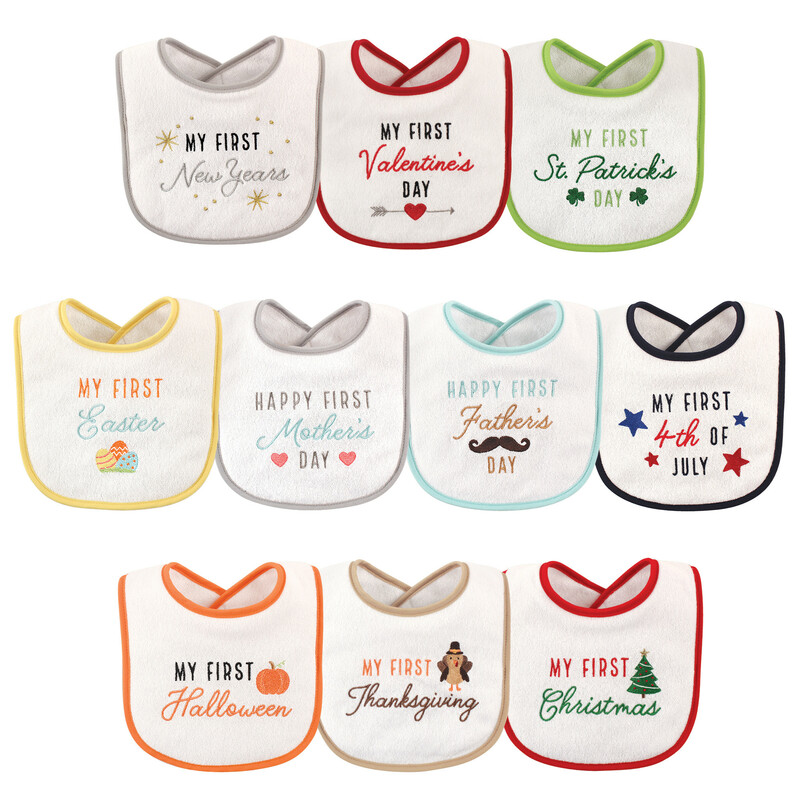 Each bib coordinates with a different major holiday throughout the year so your baby can stay festive no matter how many outfit changes they've been through! 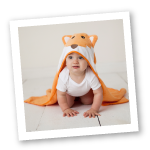 This bibs are a soft cotton blend to absorb all spits, dribbles and spills! With hook and loop closure, these bibs are easy on and easy off.